Keeping your car clean and organized will make your commute much more bearable! While cars are one of the most convenient inventions in the history of humans, they are also an extension of our personalities. For many people, this means that they get just as cluttered as their bedrooms at home. Here’s how to keep your car organized. One way to do this is to keep collapsible bins in your trunk. You can store all types of stuff in each section of the bins to keep your trunk from becoming a cluttered mess. These tend to be places where junk just gets tossed in. They get messy quickly, so one way to fix that is to keep pouches inside each of them to store different items. One pouch can be for money, another for important documents, etc. Remember that caddy for remote controls that you never use anymore? Put it to use in your car by attaching it to the back of your seats to hold extra items. You can use your cup holder for this. Fill a cup with a lid with tissues, and then you have a permanent home for them. If you create a lot of trash in your car, keep some sort of little bin in your vehicle so that your trash doesn’t end up strewn about the floor. It all comes down to using your imagination. You can put anything to use if you think about it enough. Cars are one of the greatest inventions in the history of humans. However, they don’t always treat us the way that we want. Here are some of the most important emergency items to keep in your car just in case. In the event that you experience a mechanical problem with your car, be prepared with the right tools. This includes things like a fully inflated spare tire, a car jack, jumper cables, the car manual, a tire pressure gauge, duct tape, and car repair information (mechanic or AAA phone number). While most people will never find themselves in a life or death situation, it does happen. Those who are prepared for it are the ones who survive. That’s why every car should have emergency items like a first aid kit, a flashlight, a multi-tool, energy bars, water bottles, and a radio. While these items may not save your life, they make your life much easier. A few simple items go a long way. Stock your car with napkins or paper towels, tissues, pens and pencils, spare change, an umbrella, a blanket, a change of clothes, and an extra charger for mobile devices. You will thank yourself the next time you find yourself in any of these situations. It may still be early in October but Halloween will be here before you know it which means it’s time for a refresh on trick-or-treat safety tips. Trick-or-treat night can be one of the most enjoyable nights of the year for kids, but it could easily end in an accident if you don’t take precautions. Here are a few trick-or-treat safety tips. Supervise – If your kids are younger than 13, they need to be supervised. Kids from around town are likely to be dropped off in your neighborhood and the last thing any parent wants is a missing child. Keep an eye on your children at all times. Those older than 13 should stay in well-lit areas that they’re familiar with. Visibility – Go the extra mile to keep track of your child by making them more visible. While unique costumes can work, attaching a glow stick to any costume is likely a cheaper solution. As a result, it will be easier to spot your child in a crowd. Driving – There’s no doubt in any driver’s mind that trick-or-treat night means streets full of children. That’s why drivers should avoid getting distracted behind the wheel and make sure they keep their lights on at all times. Slow down to avoid any wandering children! Checking your tire treads is one thing you should do to get your car ready for summer. Learn about “the penny test” here! Summer is a hard season for cars. The heat can mess with the engine and is definitely hard on the cooling system, among other issues, so it’s important to pay attention to your owner’s manual and determine when you need to do certain kinds of car maintenance or go in for service. There are plenty of small maintenance tasks you can do at home yourself even if aren’t very car-savvy. You can check your fluid levels, which could easily be low after the harsh winter, and do this regularly, about once a month. If you notice your fluids seem to be dirty, it may be time to schedule a dealership appointment and get an oil change or coolant flush. You can also check your tires for cracks, high or low pressure, or bulging, and look at your brake lines and hoses for damage, and clean your radiator. 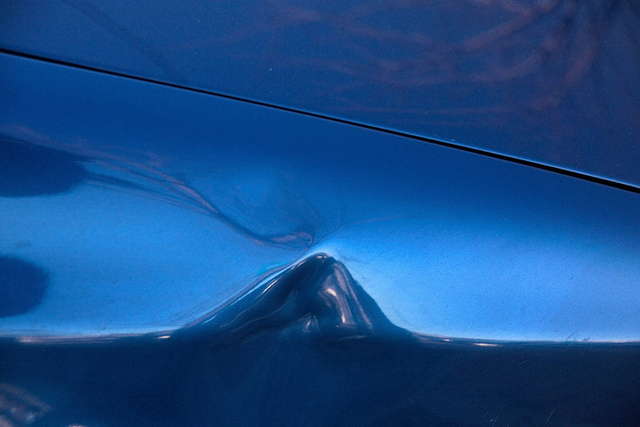 If you notice any damages, make an appointment ASAP. Finally, change your windshield wipers if you haven’t already! If you aren’t comfortable performing some kind of maintenance, leave it to the professionals. During the summer, you can expect to see way more pedestrians on the road, particularly teens that are no longer in school. Similarly, the chances that you’ll find pets or wild animals on the street is stronger than ever. When it’s hot outside, your risks of falling asleep behind the wheel and heat exhaustion are heightened, so stay hydrated! The sun will be shining more brightly than ever, so it’s a good idea to keep a pair of quality sunglasses stowed safely in your vehicle. And lastly, your windshield and windows will not protect your skin from the sun’s UV rays, so don’t forget to wear sunscreen. For more safety tips or to start your season out behind the wheel of a brand new vehicle, visit us anytime at Haddad Nissan!